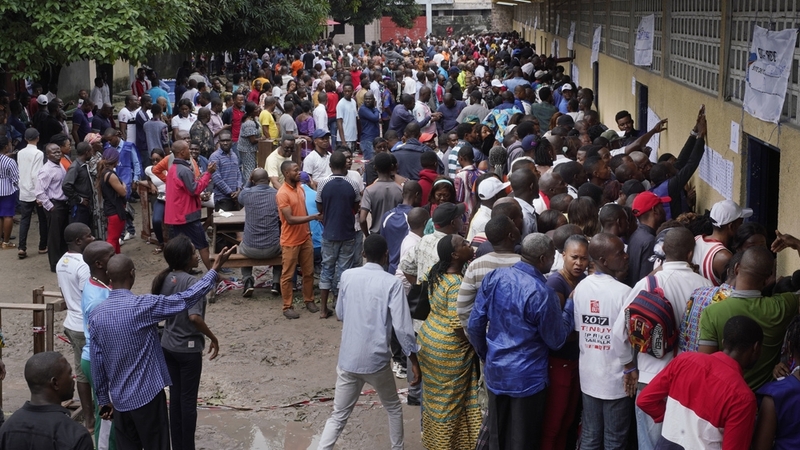 Kinshasa, DRC – Vote counting has started in the Democratic Republic of Congo‘s long-delayed election as the opposition claimed it will not accept a ruling party victory. “I cannot see how Mr Shadary (the ruling party’s candidate) can win. I doubt anyone will have the courage to proclaim Shadary as the winner. It will be a provocation,” Martin Fayulu, leader of the opposition Lamuka coalition, told Al Jazeera on Monday. Sunday’s vote, which has been repeatedly postponed since 2016, was marked by long delays with many polling stations not opening and voters not finding their names on the poll register. The electoral commission (CENI) on Wednesday said at least 20 percent of the polling stations in the capital, Kinshasa, would not open because of a lack of voting machines. More than 46 million Congolese registered to take part in the election to pick a successor to President Joseph Kabila, who has ruled the mineral-rich country for 17 years. As many as 21 candidates contested the poll. Early this month, a blaze destroyed the commission’s main warehouse in Kinshasa. CENI said the fire destroyed 80 percent of the voting machines allocated for the capital, which is home to about 15 percent of the country’s electorate. “It was deliberately disorganised. The people of the Congo are asking the truth. They are asking for their act (vote) to be reflected in the result. The result should reflect what they did on Sunday,” Fayulu added. Voting did not take place in three opposition strongholds, where at least 1.2 million people registered to vote. CENI, earlier this week, said it was delaying voting in the eastern cities of Beni and Butembo in North Kivu until March next year, because of the ongoing Ebola outbreak which has claimed more than 330 lives. CENI also said voting will take place in March next year in Yumbi in the western Bandundu province because of ethnic violence. More than 100 people have been killed in the area since the start of the month. Crispin Landa, a political analyst, told Al Jazeera the postponement could lead to unrest. “I think Sunday’s elections were the worst in terms of organisation and preparation comparatively to all elections this country has held so far, including those held during Joseph Mobutu,” Landa said. “It’s in the opposition’s stronghold that complications have been observed. It was badly organised and could lead to chaos,” Landa added. Fiston Kamanda, an adviser to Ramazan Shadary, told Al Jazeera the opposition should wait for official results to be announced and accept the outcome. “Fayulu does not have a chance to win an election. He doesn’t represent anything. He might win in Kinshasa, but not anywhere else. We are confident we will win. If he is not happy with the results when it is announced, he can go to court,” Kamanda said. Provisional results are expected on January 6, while the official results of the presidential polls are due to be announced on January 15. Voters are also electing representatives for the national and local assemblies. Meanwhile, the internet was heavily restricted in Kinshasa on Monday shortly after the vote tallying started. Residents in the eastern city of Goma also told Al Jazeera they were experiencing internet restrictions. Al Jazeera contacted both internet service providers and the government and is awaiting comment. DRC, a mineral-rich country of 80 million people in central Africa home to more than 60 percent of the world’s cobalt, has never had a peaceful transfer of power since it gained independence from Belgium in 1960.